Sydney’s Art Gallery of New South Wales has appointed current Deputy Director, Anne Flanagan, as Acting Director of the Gallery. 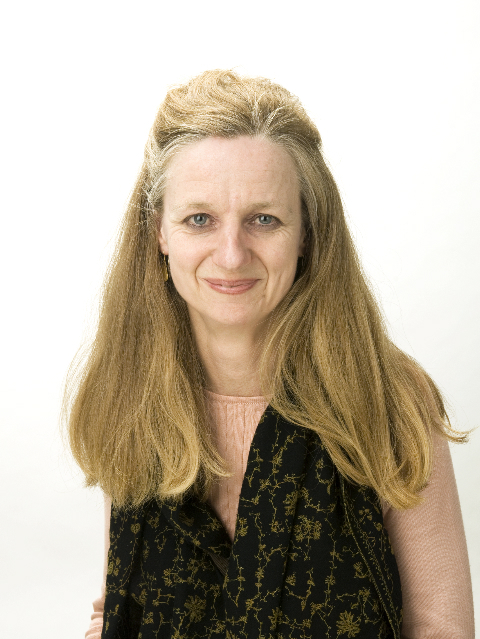 Ms Flanagan, who joined the Gallery in 1992, will assume the responsibility until the appointment of a successor to the former Director, Edmund Capon, who departed the Gallery just prior to Christmas 2011. The Board of Trustees and State Government have embarked on a global search to recruit a new Director. Mr Steven Lowy AM, the President of the Board of Trustees of the Gallery commented “Edmund built up a team of committed and highly professional staff during his tenure and under Anne’s leadership, the Gallery will be in safe and effective hands until a permanent appointment is made.” Sandra T.
Follow my BLOGS by email. CLICK ON “Follow BLOG by email” in right column.Travel & Lifestyle with Sandra T. Visit John Pond BLOGS at johnpondworld.com also www.johnpond.com PHOTOS: John Pond. 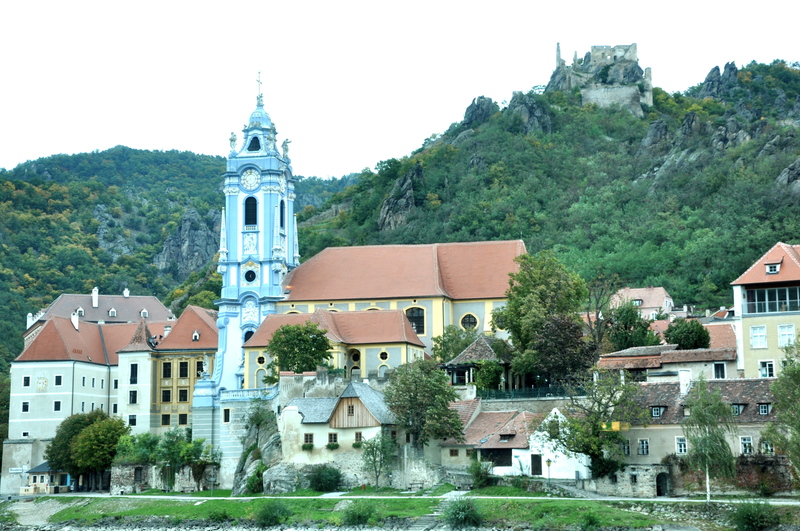 One of the quaintest villages on the Danube River is Austria’s Durnstein, located in the Wachau Valley and surrounded by vineyards. Too small to be called a town, it is just such a delight. On a recent river cruise aboard UniWorld’s River Beatrice, we pulled up right alongside this picturesque place. We had several hours to explore this charming village and wander the cobblestoned streets, admiring the houses and browsing the shops, one even offered schnapps tastings. 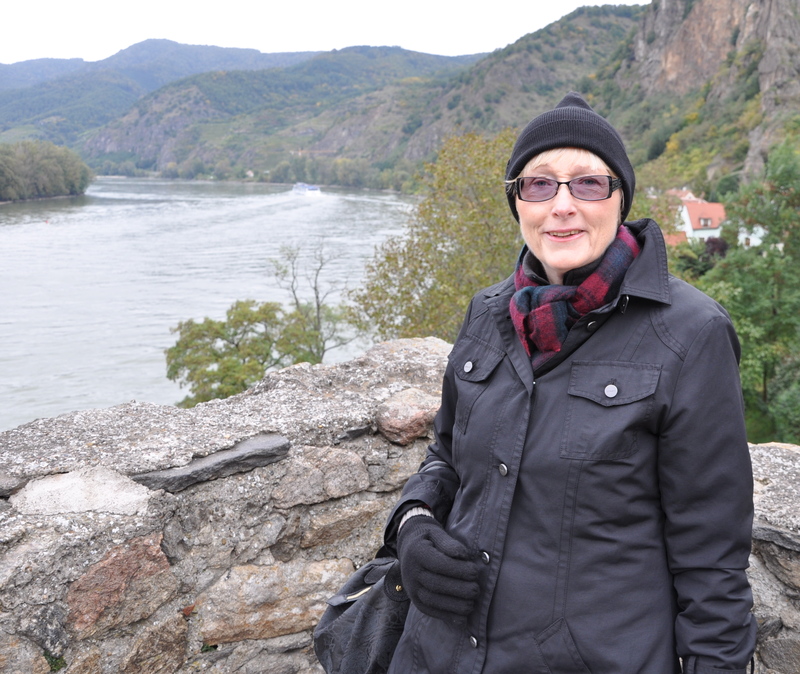 One of the most magnificent views of the Danube is from the terrace of Durnstein’s landmark Hotel Schloss. Durnstein is also famous for it’s castle, now in ruins, where the Duke of Austria held England’s Richard the Lionheart for ransom when he was on his way to the Crusades. Those more active can hike up to the ruins, where I am told, the views are worth the effort. Sandra T. PHOTOS: John Pond. 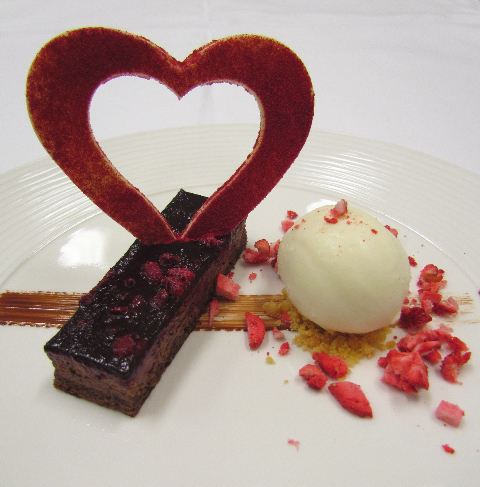 Sydney’s Four Seasons Hotel is offering some really special treats for Valentine’s Day on the 14th February, just in case any of you unromantics have forgotten the date. 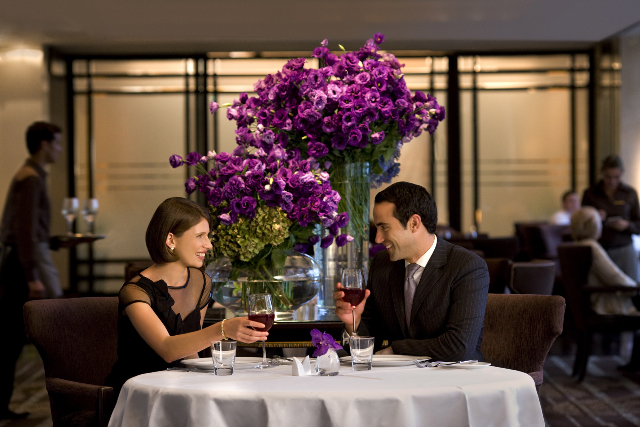 “The Bar” has designed a special “Cupid’s Cup” cocktail to mark the occasion, but my number one choice is the special four course dinner in Kable’s Restaurant where the evening kicks off with a glass of Mumm, and you all know how much I love a glass of Champagne! Why not start the day of romance early with a visit to the Spa, for a special “couples” massage. This all sounds so good, all I have to do now is start dropping some hints for my husband to take me there. Sandra T.
Budapest, the capital of Hungary, is a city divided by the Danube River, with the hills of Buda on one side and the flat of Pest on the other. The splendid Chain Bridge over the Danube links the city. Walking over the Chain Bridge is a must for any visitor to Budapest as looking at the intricacies of the engineering of the bridge makes you almost forget to look at the magnificent sights of this elegant city. 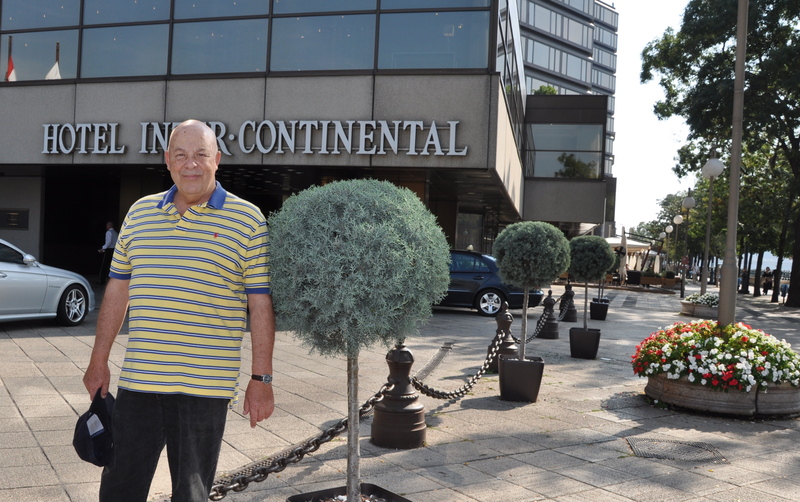 On a recent visit we stayed at the 5 star InterContinental Hotel, located on the banks of the Danube, on the Pest side. From our suite, we had incredible views, not only of the river with its constant stream of river boats and barge traffic, but of the magnificent Castle and the Fisherman’s Bastion atop the hills of Buda. In the evening these buildings were lit up and certainly were a sight to behold whilst taking a stroll beside the Danube, which by the way, was not blue. 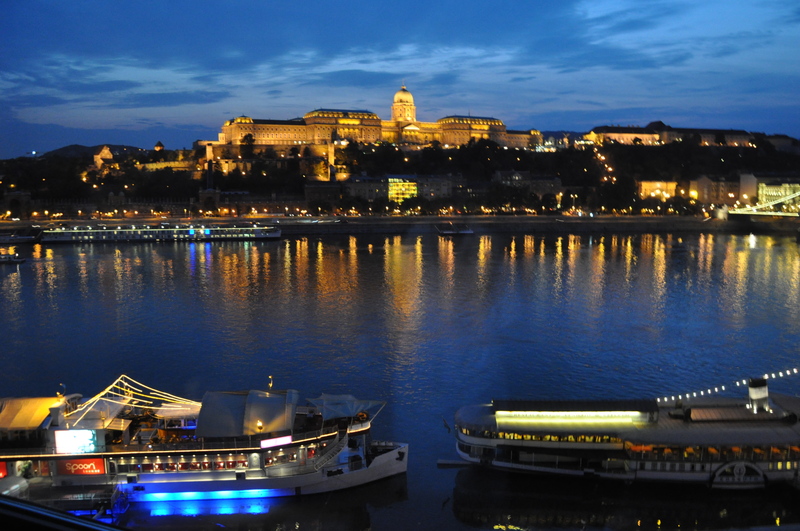 We loved Budapest so much that we are heading back for another river cruise. 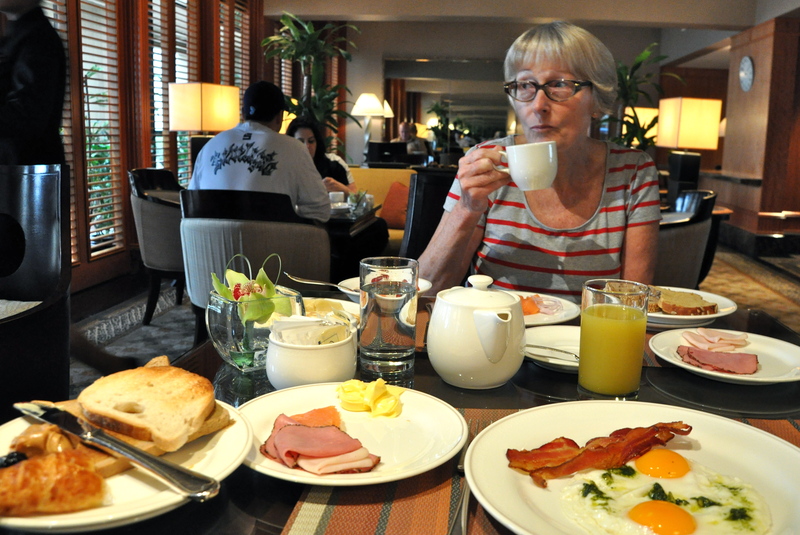 Sandra T.
SINGAPORE’S MANDARIN ORIENTAL HOTEL CLUB FLOOR ROOMS, by Sandra T. Photos John Pond. Arriving at the entrance of any luxury 5 star hotel always makes my heart beat a bit faster, but on a recent visit to Singapore, I must admit my heart started to race on entering the Mandarin Oriental Hotel. The outside appearance of this hotel gave no hint as to the sophisticated stylish surroundings to be found within the confines of the Club Floor facilities. Whenever I see a hotel offering Club Floor Rooms, I always book that option. I have found from experience that the benefits and extras offered to guests booking these rooms far outweigh the extra tariff. Registration at the Mandarin Oriental Hotel was a breeze. On entering the lobby we were shown straight to our room, where all the check in formalities were taken care of, while we were offered a cup of hot green tea. The entire process taking only minutes. We then enjoyed relaxing in our elegant room that overlooked Marina Bay. The floor to ceiling wall of glass gave us uninterrupted views. It was not until evening, when all the adjacent tall buildings were aglow, that the full impact of the view came to the fore. A major benefit of staying in a Club Floor Room is access to the Club Lounge. These lounges are a haven, where guests are offered complimentary breakfast plus evening cocktails and canapes. 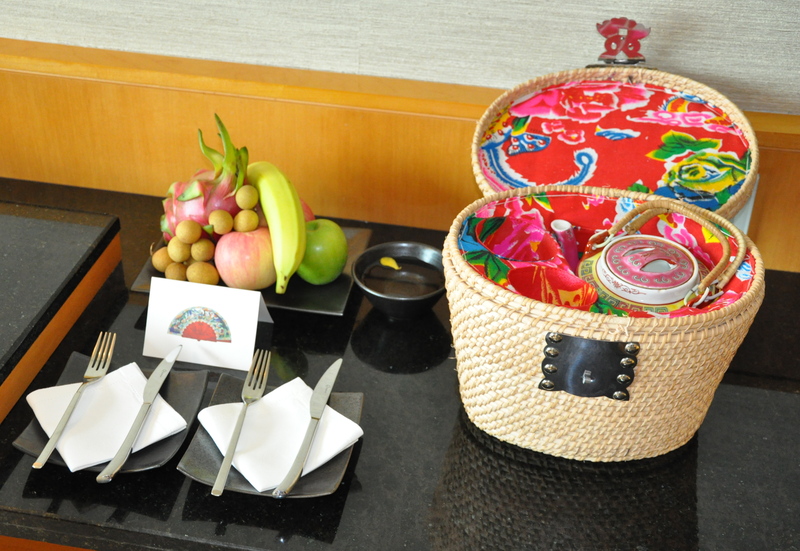 During the day refreshments are available, as well as availability of meeting rooms. The only disadvantage to being on Club Floors is that the lounges are so comfortable and offer so many goodies that one does not want to leave the hotel. Located at Marina Bay, the hotel is close to many attractions and shopping precincts, yet away from the hustle and bustle. 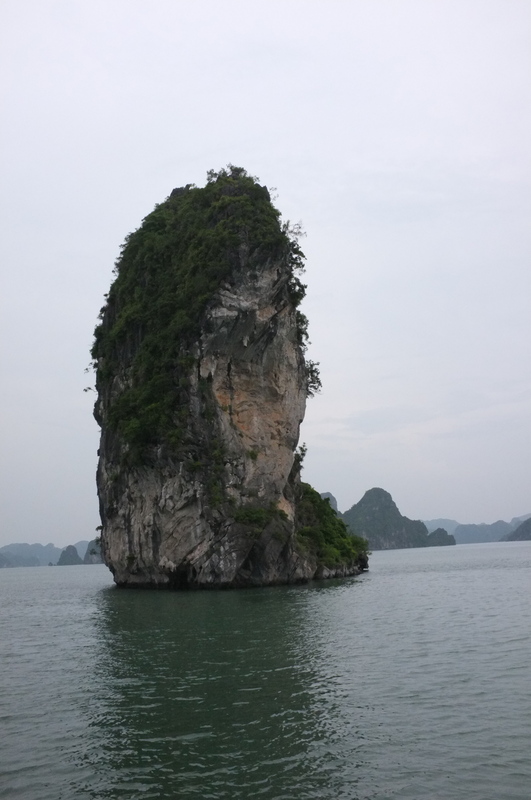 HALONG BAY, VIETNAM by Sandra T.
The first glimpse I ever had of Halong Bay was while watching a James Bond movie many years ago. 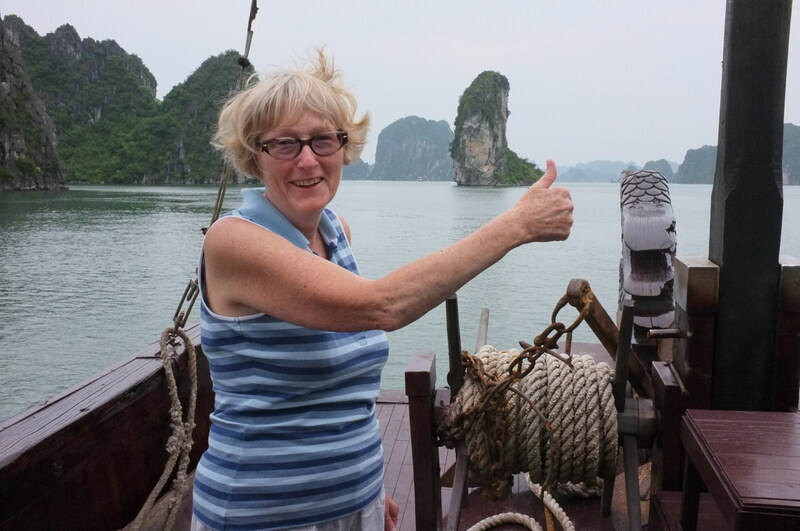 Halong Bay is a must see on any visit to Hanoi and fortunately Helen Wong’s Tours had it as an inclusion on a recent tour I did through Vietnam. The best way to experience this mystical location is by a cruise aboard a junk, that included a seafood lunch. The cruise which lasted three hours was quite enough time to experience the tranquility of the Bay and observe the many massive towers arising from the seabed as we sailed on the calm tourquoise waters. Even though there was a three hour trip by bus to get there from Hanoi, it was worth it. SAN JUAN – HOME OF PINA COLADA by Sandra T.
San Juan, the capital of Puerto Rico, was our destination after crossing the Atlantic aboard SeaDream I in November. My first glimpse of this quaint town was while having breakfast on the deck, watching as we proceeded past the dark stone fortress walls. 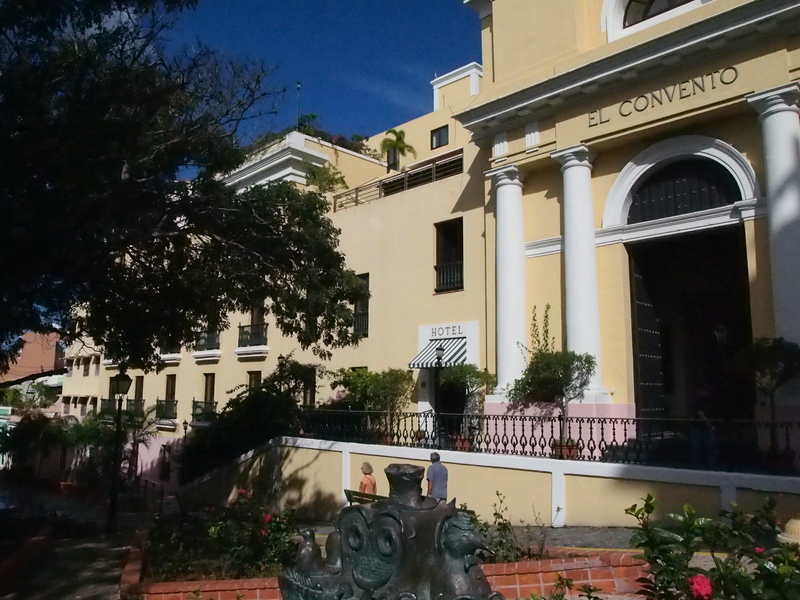 After gathering all my suitcases (I never travel light), we headed to the Old Town, a mere five minutes away from the quayside by cab, and pulled up at El Convento Hotel. This very imposing building had begun life as a convent and after being left empty for many years, was converted into a hotel, much to the delight of all the guests. The cobble stoned streets and brightly coloured buildings made me glad that I decided to spend two nights enjoying my break here before heading on to New York. 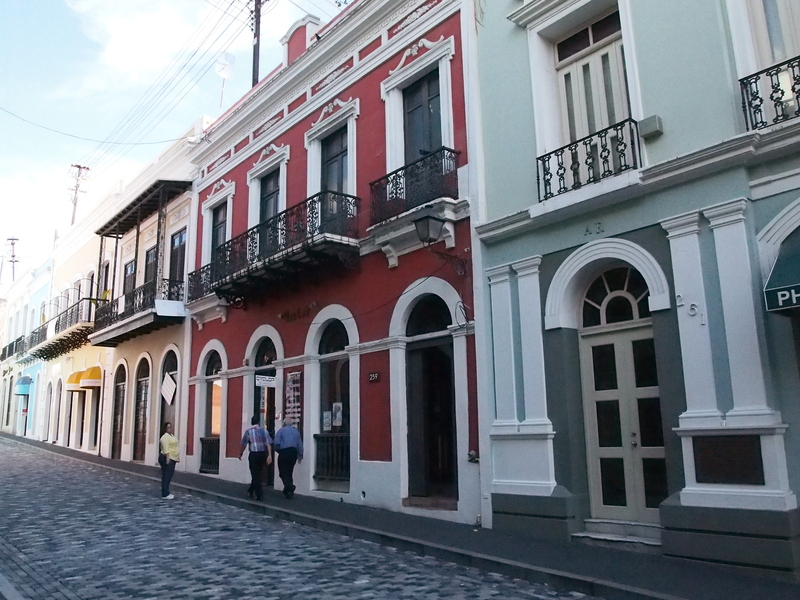 I discovered a fantastic shopping street and left San Juan with even more luggage than I had arrived with. Another very important discovery I made while walking around the centre of town was finding the Barrachina Restaurant which was the birthplace of the Pina Colada. Naturally I had to dine there that evening to take in the atmosphere and try their famous invention. You are currently browsing the SANDRATBLOG.COM blog archives for January, 2012.